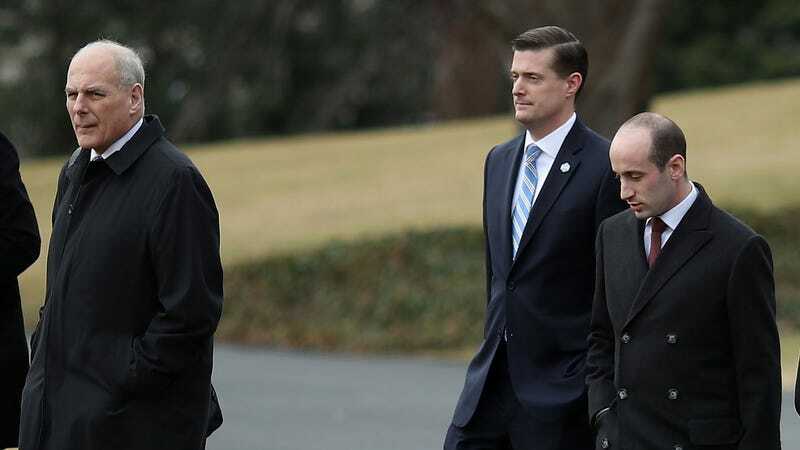 Jennie Willoughby, the ex-wife of former White House staff secretary Rob Porter, wrote an op-ed for the Washington Post grappling with the experience of watching Porter, who she says was physically and emotionally abusive to her during their marriage, reenter public life. Porter resigned last year over domestic abuse allegations by Willoughby and another woman who was formerly married to Porter, but has slowly been making a comeback. Porter is rumored to have been one of the key sources for Bob Woodward’s Trump White House biography, in which he comes off as a trustworthy, diligent aide who kept Donald Trump’s worst impulses in check. Then, last week, Porter wrote an op-ed in the Wall Street Journal about international trade. Missing from his disappearance and comeback, though, is any sign of remorse, apology, or public reckoning with the serious allegations, which include punching, strangulation, and verbal abuse. ... With new revelations of abuse occurring almost daily, we would all benefit from taking time for a conversation about how people make amends. Barring legal prosecution, what are the requirements of rehabilitation and redemption? What is the anatomy of a genuine apology, and how can a person earnestly demonstrate doing the work? Is there a place for a person in public service after being involved in scandal and abuse? In short, is there life after disgrace? The White House reportedly knew about the allegations of Porter’s abuse for months, yet did nothing until the media reported on them (and even then, several officials defended Porter, with Trump saying, “We certainly wish him well and it’s a tough time for him.” Throughout, Porter has not demonstrated that he’s changed his alleged behavior, or even that he sees anything wrong with it. But then again, he doesn’t have to. It’s a cruel magic trick: Porter never sought redemption, yet it has been given to him, unearned.